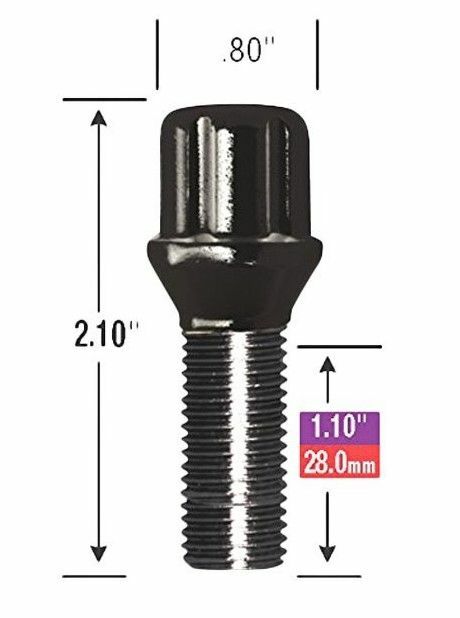 Black Small Diameter Lug Bolt Kit (17125SDBC-20) by Gorilla Automotive. Thread Size: M12 x 1.25. Overall Length: 2.1". Thread Length: 28 mm. Head Diameter: 0.8". 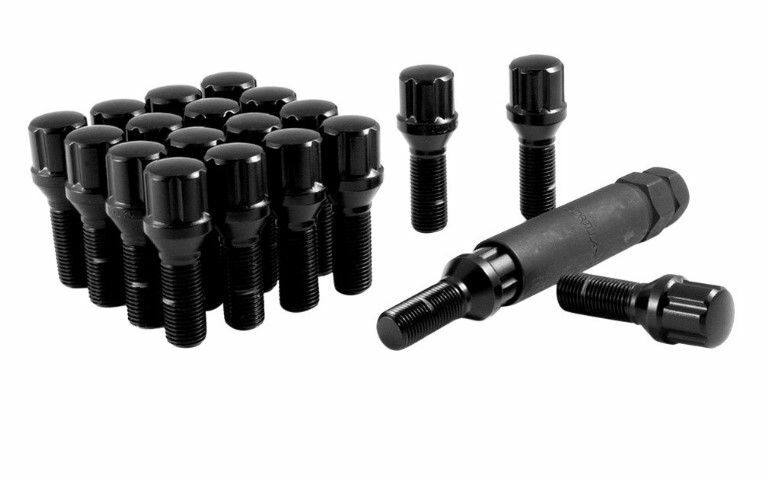 Set of 20 Lug Bolts with Key. 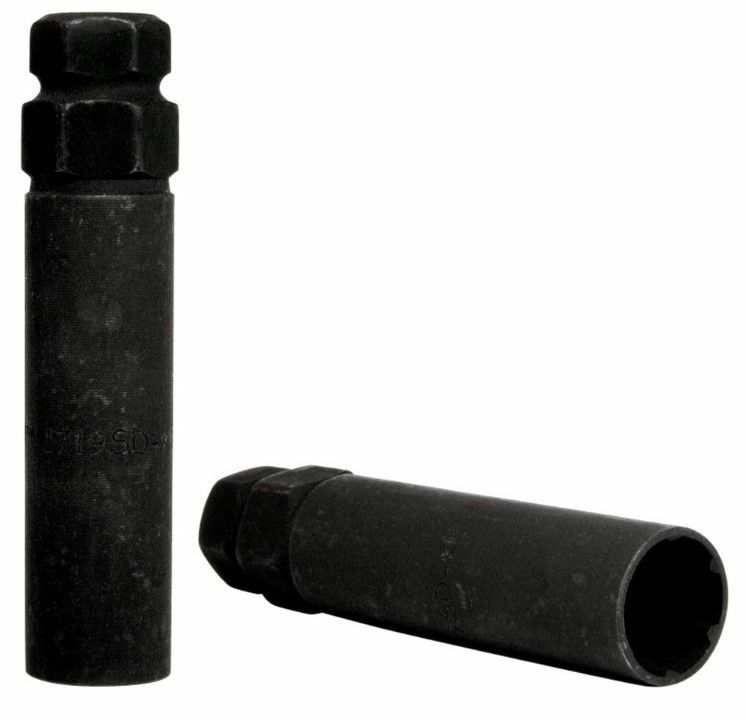 Gorilla Small Diameter locks are stamped with a "G" and use a unique lock key that works with both Small Diameter lug bolts and locks. Perfect for factory black wheels on special edition Compass MP and Cherokee KL models.